Dr. Monique Levesque-Hartle is originally from Canada. She has been in practice since 1993. In addition to being a doctor of Chiropractic, she is also a Board-Certified Clinical Nutritionist and Certified Strength and Conditioning Specialist. Dr. Hartle was part of the Canadian Navy Reserve Force for 3 years. She really enjoyed her time in the military. She is a dual citizen now. Dr. Hartle was a member of Executive Women International-Fort Wayne Chapter- from 1997-2017. She held many board positions with that organization and was president twice. Dr. Hartle competed in powerlifting at the international level for 13 years. She took the bronze medal in her weight class at the World Bench Press Championships and placed 5th overall in her weight class at the Women’s World Powerlifting Championships. She played women’s tackle football for the Fort Wayne Flash for four years. She has retired from competitive sports and now enjoys recreational cycling and curling. The thing she most enjoys is spending time with her family. A Fort Wayne native, Lisa returned after 11 years away to become the program manager at Allen County Education Partnership dba Project READS. She worked with many Title I schools through direct tutoring outreach and parent literacy enrichment workshops. She was blessed to meet a myriad of phenomenal people throughout the non-profit community—and to be closer to her wonderful immediate and extended family members. Lisa graduated from Bishop Dwenger High School and earned a B.S. in Biology from the University of Notre Dame. She is employed as a marketing administrator for Better Business Bureau Serving Northern Indiana. Much of her focus centers on the Student of Integrity Scholarship Program and the Torch Awards for Marketplace Trust, both hosted by BBB’s Charitable and Educational Foundation. Lisa served alongside Dr. Hartle on the board of EWI of Fort Wayne for two terms as president and as the philanthropy chair through 2017, and spearheaded several committees at the corporate level. She currently volunteers on the Rally to Read Committee and for two faith-driven theatre groups, all for One productions and First Presbyterian Theater. She joined the Board of the ND Club of Fort Wayne in 2002, is a past president, and currently orchestrates the Club’s various community-service projects. For over 37 years, Joe has been a leader in both the for-profit and non-profit sectors. Prior to joining the St. Vincent de Paul District Council as Financial Operations consultant, Joe served as the Associate Director of the Lincoln Financial Group from 1981-2001, and then served AVP Property and Casualty Insurance Run-off Manager for Swiss Re from 2001-2008. Joe went on to become President/CEO of the Consumer Credit Counseling Service of Northeast Indiana (CCCS / FinancialHope), a non-profit community service organization committed to helping people with financial problems. During his six-year tenure with FinanciaHope, Joe helped thousands of individuals and families gain control of their finances through confidential debt counseling, debt management programs and education. Joe is also highly active in the philanthropic sector: he is the Board Treasurer of St. Joseph Missions, core committee member for the Called & Gifted program at St. Vincent de Paul parish, volunteer and consultant to the SVdP District Council Board of Directors, a current board member of the St. Vincent De Paul School Technology Committee, the former School Board President of the Catholic Diocese of Fort Wayne-South Bend, the former President and Treasurer of the Clear Lake Township Land Conservancy, the former President of the Institute of Management Accountants, former President of the Fallen Timbers Community Association and a former instructor of LOMA (FLMI) classes. A Fort Wayne native, Joe graduated from Bishop Luers High School and received his B.S. degree in Business Administration and Accounting from Indiana University. Joe has been married to his wife, Kathy, for over 40 years and is the father to three children: Maria, Joey and Stephanie. In addition to spending time with his wife, children and five grandchildren, Joe enjoys do-it-yourself construction projects, home remodeling and relaxing at the lake during the summer. He also enjoys sailing and participates in sailboat races across Lake Michigan each summer. Susan Byers has worked at Purdue Fort Wayne for over 20 years. She currently serves as the Director of Student Success for the Doermer School of Business. Susan also has over 10 years’ experience working with youth ministry which is where her interest in helping the homeless began by taking high school teens downtown to serve the homeless. She has been an active member of Catholics on a Mission for several years helping with their street outreach ministry and is a regular volunteer at Vincent Village. Susan is a parishioner at St Jude Catholic Church, has five children and three grandchildren with whom she loves spending time. Sharon is passionate about working with the least, the lost, and the last. She and her husband Mike support several formerly homeless individuals as they transition to a steady and productive lifestyle. Sharon volunteers with Allen County Jail’s substance abuse program, is a member of Mentoring Moms outreach, which provides a faith-based ministry for women with disabilities, and serves on the board of The Rose Home, a recovery home for women. She is a founder of DeKalb County Cares 100+, a philanthropy group who raises money for DeKalb County non-profits. She retired from Signature Construction of Auburn, Indiana, where was she was Office Manager and Project Manager/Estimator for commercial construction projects. Sharon has been an active member of her parish community for over 20 years. She has served on several school boards: Fine Arts, Athletics, Fundraising, and Boy Scouts. Sharon grew up in Avilla, one of nine children, and has been happily married to Mike for 35 years. She has two grown sons; Zach lives in Milwaukee, and Nick lives nearby while attending Purdue Fort Wayne. She loves to travel, volunteer, read, hike and spend time with family and friends. For over 28 years, Dave MacDonald has been a leader in the for-profit and non-profit sectors. He serves as the Agency Principal of G. A. MacDonald Associates, a Fort Wayne-based family owned and operated independent insurance agency he helped to build since 1990. In addition to providing traditional insurance products offered by most insurance agencies, Dave developed specialty life insurance programs for underserved individuals including adults and children with special needs (autism, Asperger’s, Down Syndrome, Cerebral Palsy, Juvenile Diabetes, and HIV/AIDS). Dave is actively involved in the philanthropic sector. He is the outgoing Board President of St. Joseph Missions. He served as Mission Team Coordinator for Catholics on a Mission, a group of 80 lay Catholic volunteers committed to serving their parishes, their cities and the world through corporal and spiritual works of mercy. Through Catholics on a Mission, Dave oversaw program development, fundraising, team formation, and organized short term mission trips to Costa Rica for lay adults and students and Homeless Outreach on the streets of Fort Wayne. Dave is a parishioner at St. John the Baptist Catholic Church in Fort Wayne where he serves on the Parish Pastoral Council, is the Evangelization Committee leader, and volunteers as a lector and greeter. A Fort Wayne native, Dave graduated from R. Nelson Snider High School in 1985, and received his BA degree in Psychology/Behavioral Sciences from The University of Chicago in 1990. Dave has been married to his wife, Jenn, for 25 years and is the father of five home-schooled children: Kate, Emma, Andrew, Peter and Will. In addition to spending time with his wife and children, Dave enjoys attending daily Mass, playing tennis with his sons, snorkeling, and visiting the beach. Nathan has been practicing architecture since his graduation in 1998. He is presently the Vice President of Design Services at CME Corporation, a Fort Wayne based design build firm. He is a member of the AIA (American Institute of Architects) and maintains an active practice serving clients in Fort Wayne and the surrounding areas in Indiana, Ohio & Michigan. Nathan has served as a Cubmaster for local Boy Scout Pack 3021 and has provided volunteer design services to SCAN /Dare to Dream Youth Ranch and other local organizations. As a Fort Wayne native Nathan attended Homestead High School and subsequently attended Ball State University where he received a BA in Architecture. Upon graduation Nathan relocated for to Chicago enjoying serval successful design competitions while working for Cordogan Clark and Associates. With the birth of his twin children Emmelinn and Harrison he returned home to be close to family. His personal interests include traveling, yoga, reading, hiking, and auto racing. For the last 17 years, Erin has been in the non-profit sector, championing for those individuals who are marginalized. Erin currently is the Director of Operations for Vincent Village, transitional housing for homeless families. Erin ensures the day to day operations are running efficiently, the programming offered is top notch and the housing stock is maintained in good condition. Erin collaborates with City officials to ensure awards received are spent down in order to provide energy efficient, low cost housing. Raised in Roanoke, IN, Erin graduated from Huntington North High School and went on to earn a BS in Criminal Justice and Criminology from Ball State University. Erin completed her Masters of Social Work degree from Indiana University Purdue University Indianapolis and graduated in May 2018. Erin enjoys reading, traveling, and spending time with family and friends. Tom Weir earned a Bachelor’s Degree in Psychology from the University of Missouri – Columbia and a Master’s Degree in Social Work from Saint Louis University. He is currently employed as the Associate Executive Director of The Carriage House, a rehabilitation program for people recovering from serious mental illnesses. He has worked in mental health since 1993. As a faculty member of Clubhouse International, he travels the country accrediting other mental health rehabilitation facilities. He serves on an Advisory Committee for Indiana University School of Social Work-Fort Wayne cohort. He is a former member of St. Mary’s and St. Jude’s Catholic Church and a current parishioner of St. Charles Borromeo. Daniel, a native of Fort Wayne who returned to the Summit City in 2017, is excited to help advance the mission of the St. Joseph Missions. 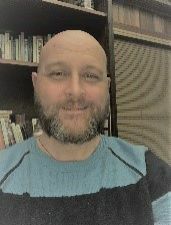 Over the past 20 years, Daniel has volunteered for a variety of Catholic-based organizations and groups, including the Society of St. Vincent de Paul, Rekindle the Fire, Catholics on a Mission, Tri-Parish Youth Ministry (LaPorte, Indiana), and Theology on Tap. After graduating from Bishop Dwenger High School, Daniel earned a Bachelor’s Degree in English from Marian University in Indianapolis. His professional career began as a journalist before transitioning to public relations and health care marketing. Daniel is the digital content specialist at Fort Wayne Metals. A parishioner of St. John the Baptist Catholic Church, he enjoys spending time with his amazing finance Vivianne, landscaping, running, hiking, reading, and volunteering. © St. Joseph Missions. All rights reserved.